Jerome was born and brought up in Kent. He was very much a country boy. The nearest town, Sevenoaks, was not only 7 miles away but also, as far as he was concerned, very boring, that is, in comparison to the seemingly endless woodland and fields that he had access to from the back garden. As soon as he got home from school he would go off into the woods, often with his brother Daniel and sister Kerry, exploring, making camps, swinging from trees or just generally hanging out. They never had much money but they were lucky enough to get a lovely piece of land very cheaply from a relative. The house on the land, however, was a bit of a wreck so they had to pull together as a family and make it habitable. They grew their own vegetables and had to split 120 logs a week for the wood-burning stoves (there was no central heating). Their Mother, Fern, is a big animal lover and they would regularly be looking after all sorts of sick and injured animals before releasing them into the wild. At school Jerome was never really interested in the academic side of things and would only really respond to subjects where he took a liking to the teacher. Basically, if they didn’t make it interesting, he tended not to be interested. School was definitely worth it though for all the sport he got to play and all the friends he made. It was at this point he started to take part in school plays, the first being The Mikado where he took on the role of “Katisha” – a jealous older woman. Charley’s Aunt followed and Jerome’s performances were certainly being recognised. 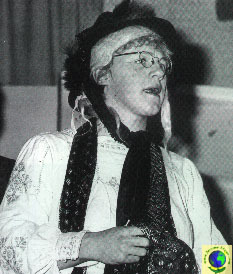 His brother, Daniel, was directing a production of The Crucible for the Sevenoaks Youth Theatre, one of the cast had dropped out and Jerome was asked to take the lead part of John Proctor, which he accepted after some hesitation. 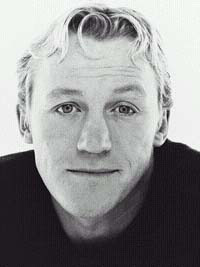 At 17, after his experiences in The Crucible he decided that acting was definitely worth having a go at, for a couple of reasons: first because he liked the feeling of pretending to be someone else on stage in front of an audience; and second, it gave him a new-found confidence in himself: “People showed more interest in me than they had before”, he said. “OK, all right then ! Girls showed more interest in me than they had before, and at the time that alone seemed a good enough reason for giving it a go!” So Jerome decided to stop doing his English A Level, which wasn’t going anywhere anyway, took a year off to travel and rebel, and then at 18 he went up to London to start a 3 year acting course at the Central School of Speech and Drama in Swiss Cottage. It was needless to say, one of the most exciting periods of his life and he wouldn’t have swapped if for anything but as his time in London wore on he started to realise just how lucky he had been as a child to have the natural world at his doorstep. He had taken it all very much for granted at the time; the countryside was very much a part of him. He later played Alcibiades in the hugely enjoyable Timon of Athens at the Young Vic Theatre, a character and a production he then regarded as one of the best he had been involved with. He appeared in Birmingham in Who’s Afraid of Virginia Woolf with Slyvia Sims, her daughter, Beattie Edney and James Bolan and took time off to widen his horizons. Jerome spent 3 months in Thailand with friends and was delighted with this opportunity to experience other peoples cultures. 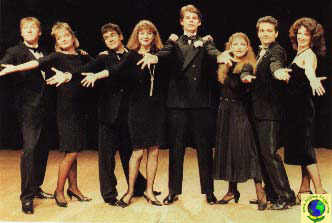 During his last year at Central School for Speech and Drama, Jerome sang with a group called Carte Blanche. They toured clubs including Maxim’s de Paris and the group qualified as members of the British Actors’ Equity Association. “Whenever I got the chance to try and get away to a place of natural beauty, it helped me to reconnect with my true self”, he explained. “Although in my heart I knew I didn’t have to leave town to do that, it just makes it easier”.